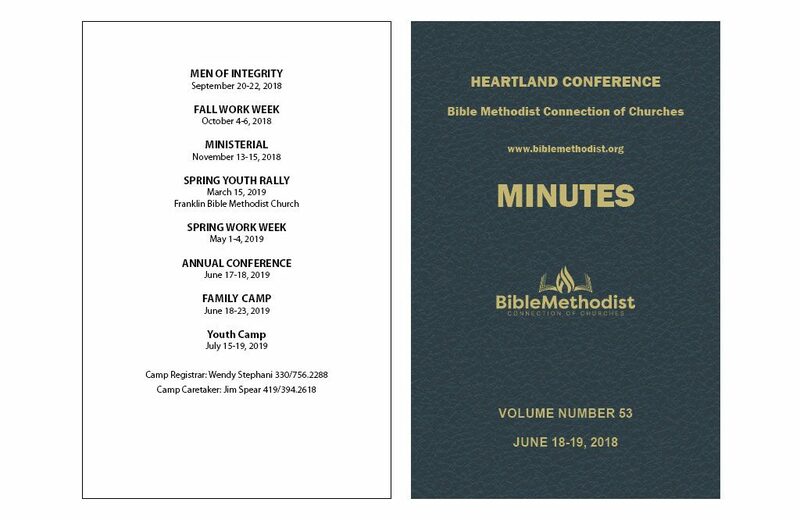 Cover Design Guidelines - Country Pines, Inc.
For all perfect bound books and coil/spiral bound books, and most saddle-stitched books, you will need to submit a SEPARATE FILE for the cover. The examples below are all based on books with a final trim size of 5.5 x 8.5 inches. 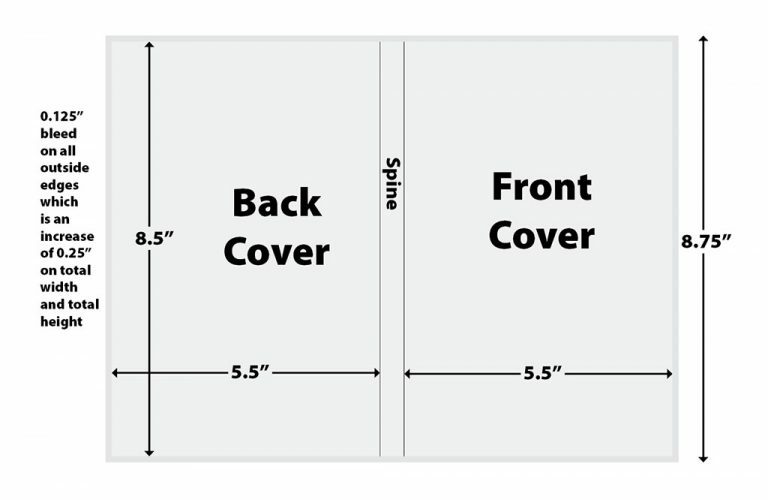 If your final trim size is different from this, the instructions below regarding spine, bleed, etc. will still apply. 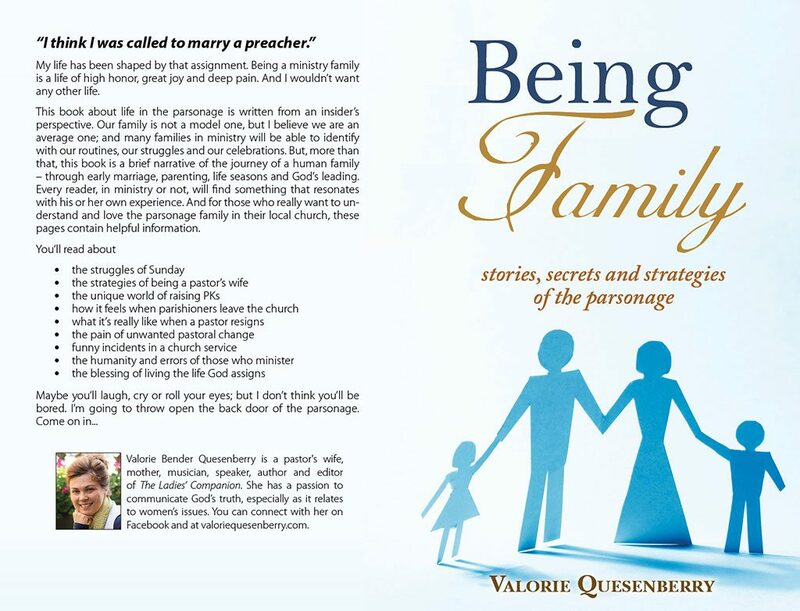 For perfect bound books, the cover file will need to be a single-page file that includes the front cover, spine, and back cover. It will also need to include 1/8″ bleed on all four edges. If you are unsure what we mean by “bleed,” check out our Bleed help page. In order to calculate the spine width for your book, you’ll need to multiply the number of pages by the thickness of the paper. Use our handy spine width calculator to do this for you. 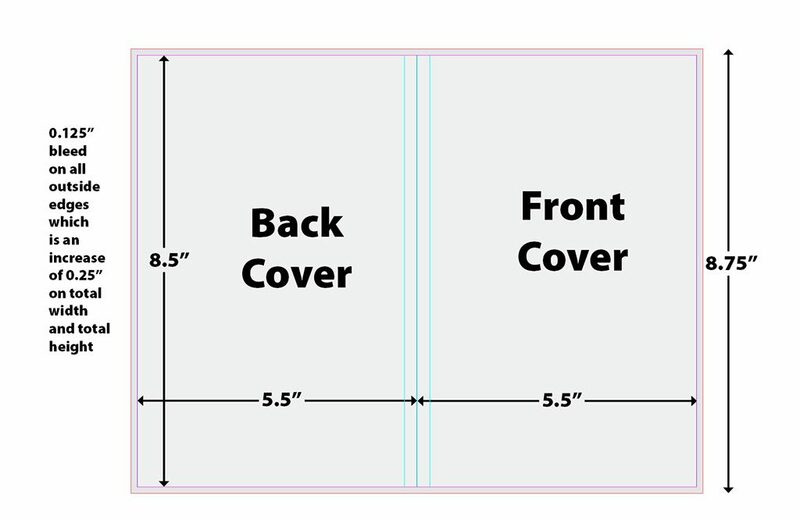 Your file for a saddle-stitched book cover should be one page that includes the front and back together. Saddle stitched books do not have a spine. 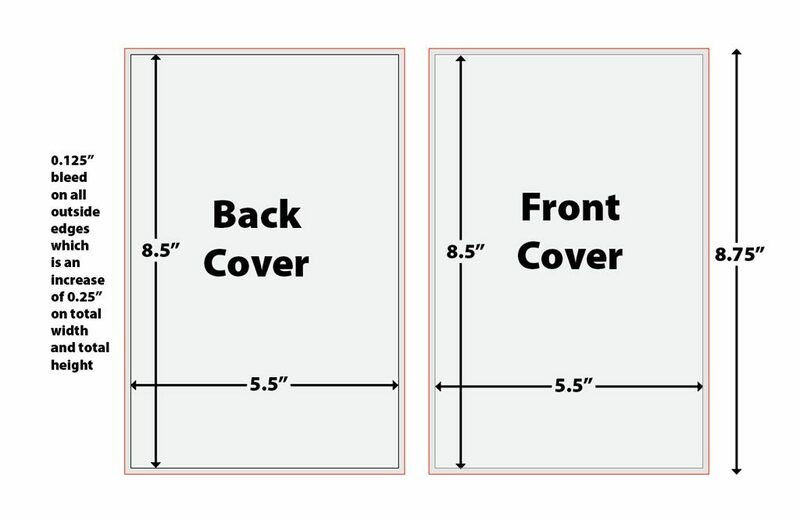 Your file for a mechanically bound book cover should be a two- page document with separate pages for front and back. It could also be two separate files. 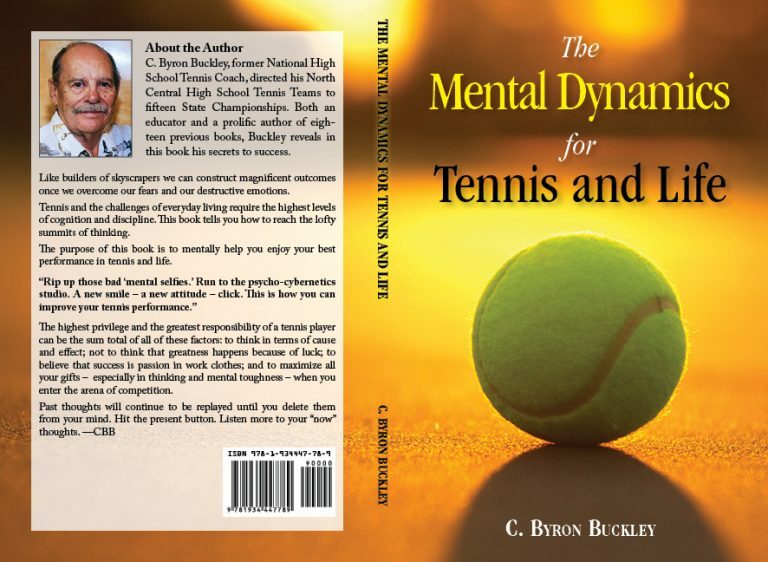 If you have questions on how to prepare a print-ready cover for your book that are not answered here, don’t hesitate to contact us. We’ll be happy to help.